Tiffany was referred to me by one of my coaches. This girl plays BIG! We met when she was first starting her coaching business and a year later I saw her speaking at the annual eWomen Conference. She’s not playing around! She wanted a logo that was bold and colorful. 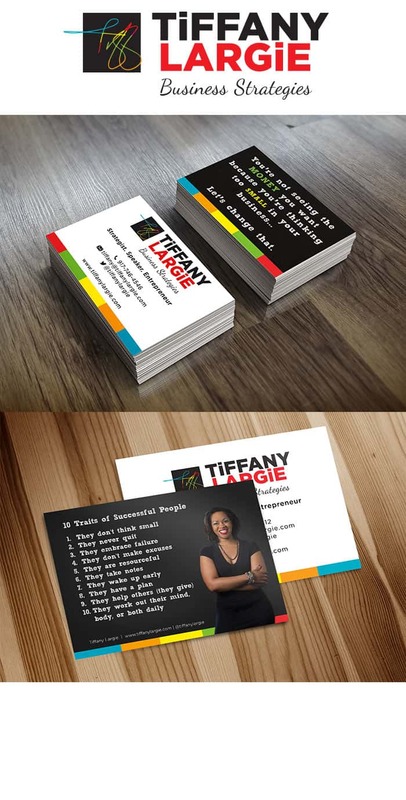 She’s known for her red lipstick and high heels, so we wanted to make sure that her logo, business card and postcards showed her personality. We had fun working together and it’s always fun to run into her at various events, cause she is EVERYWHERE! Go Tiffany!